I have a Waterfield SFBags pouch I keep in whatever bag I am carrying any given day. Inside are some Nomad cables, an external battery, some adapters and a pair of Lighting earbuds. 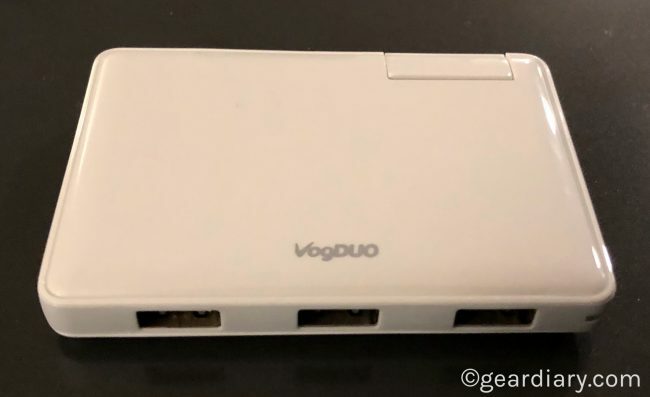 The VogDUO Charger Pro 3-Port USB Wall Charger is a new addition to the pouch. 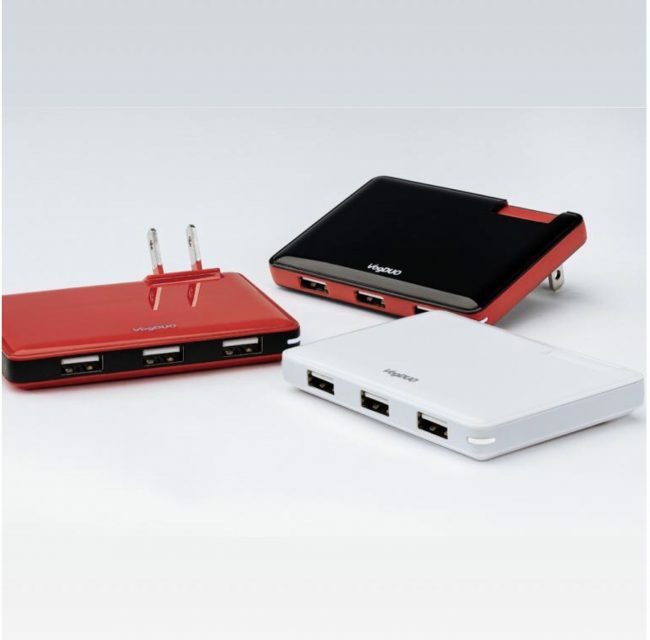 Thin and light, it has three different speedy ports. 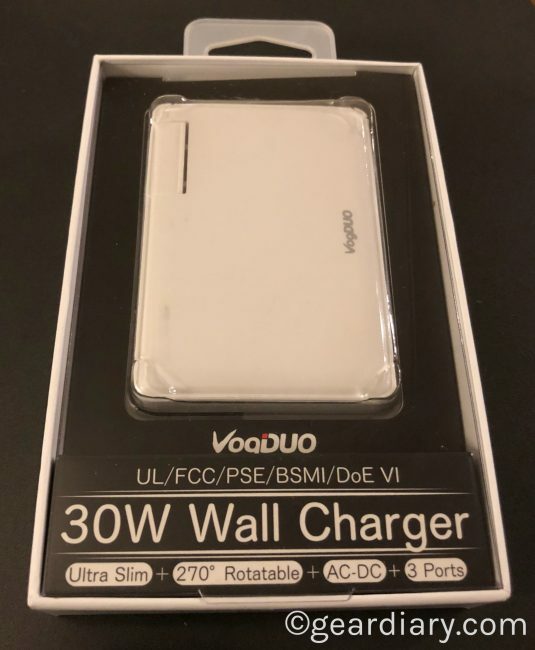 The VogDUO Charger Pro 3-Port USB Wall Charger has an MSRP of $49.99 but is currently just $29.99. 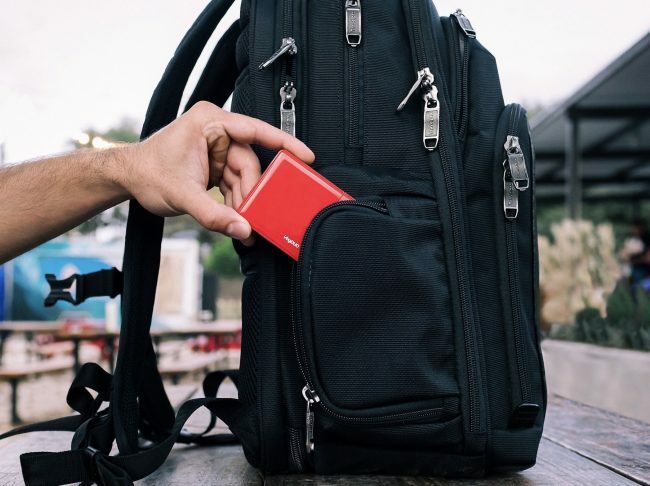 It is a great addition to any gear bag and makes a nice gift for the traveler in your life. 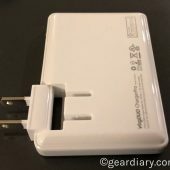 At just .5” the wall charger is thin enough to fit into a bag’s pocket or, if need be, can even slip into a pocket. 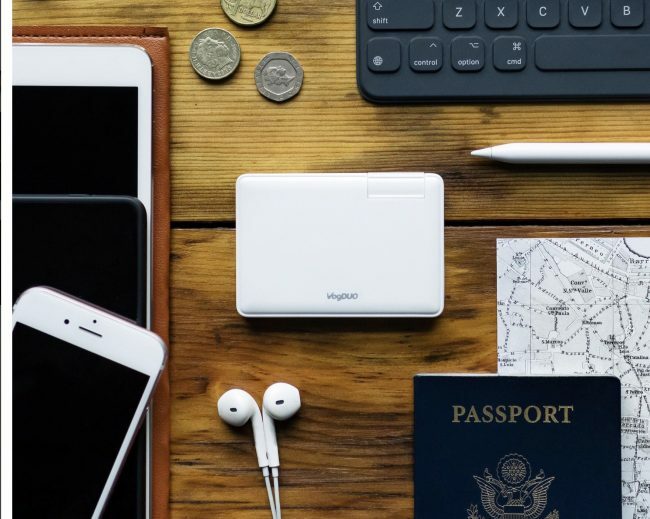 The compact design is enhanced by the fact that it flips into a small cutout in the adapter itself. That means there no risk of bending the plugs when it’s stored away. And because the plug can move a full 270 degrees, when you need to charge your devices, you just spin the plug out and place them at the necessary angle for the configuration of the wall socket you are using. The adapter comes in your choice of white, black or red and has a glossy finish on both the top and bottom. The center band that runs around the wall adapter has a matte finish. 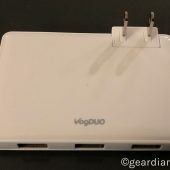 The company says this combination of materials and finishes give the VogDUO Charger Pro 3-Port USB Wall Charger a “sophisticated texture and appearance.” I’m not sure I fully agree, but I do know that it looks like a nicely finished accessory. 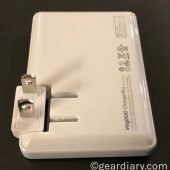 Of course, since this is a wall adapter, the most important thing is how it works as a means to charge your phones, tablets, and other small electrical devices. Each of the three ports is defined as “fast charging.” That translates to the fact that each one has a 6A (30W) output. As a result, this simple, thin wall adapter can charge up to three tablets simultaneously. FAST CHARGING: 6A (30W) output for charging up to 3 tablets at the same time. 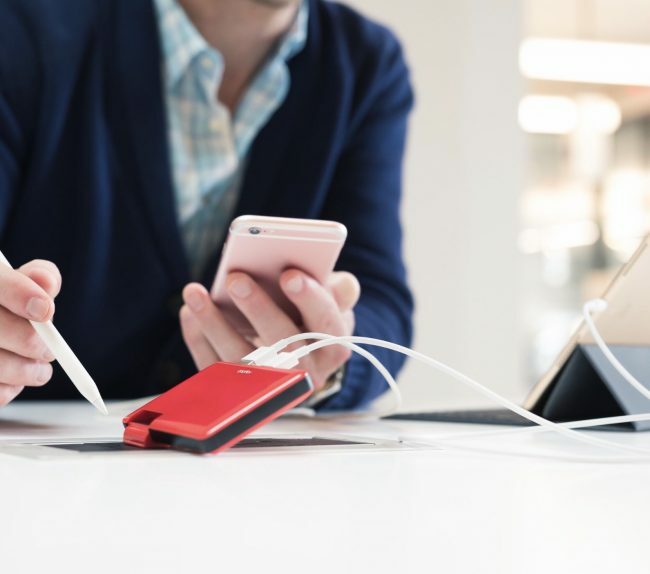 POCKETABLE: 270º folding design allows the SPC001 to be the thinnest multi-port charger (0.5” width). PREMIUM DESIGN: Glossy top & bottom enclosures with a matte center enclosure gives the SPC001 a sophisticated texture & appearance. GREEN: Energy Star 6 certified for high-efficiency design. SAFE & RELIABLE: UL and FCC certified to protect against over current, over voltage, & over temperature. You may notice that this list of features doesn’t include charging cables. That’s a bummer but, since high-quality cables often cost as much as the wall adapter itself, it is understandable. Additionally, you won’t see any indication that the adapter has a USB-C port. That’s because it does not. So, while I’m impressed with this little accessory, I would suggest that it belongs to late 2016 to mid-2017. It’s a great product and, when they add a USB-C port, it will be a product worthy of 2018 and beyond.